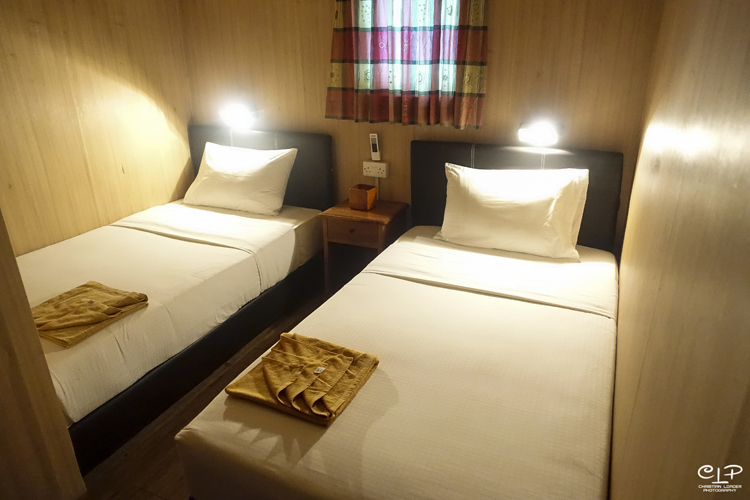 Perfect for pairs, the twin and double rooms mean you can settle in to cosy ensuite cabins reminiscent of Seaventures as a working accommodation rig. Furnished with clean, fresh bedding and towels, remote controlled air conditioning, hot water showers and housekeeping, what more do you really need? Let’s face it, you’re here to make the most of your diving and so long as you’re comfortable having had a good night’s rest, everything else is just a short walk down the stairs. 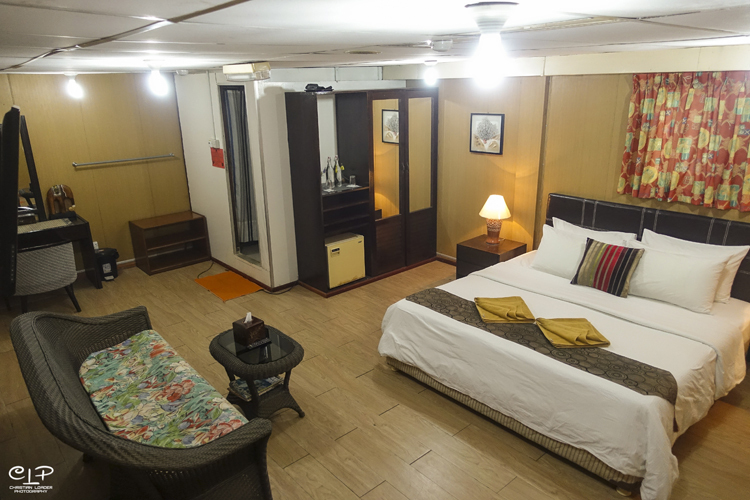 The Deluxe Room is an upgrade from the Standard twin or double-bed room. This spacious cabin comes with a sitting area, and equipped with satellite TV. Perfect for those who enjoy quiet time after a day of diving. What’s a diving spree without the huddle of like-minded buddies. 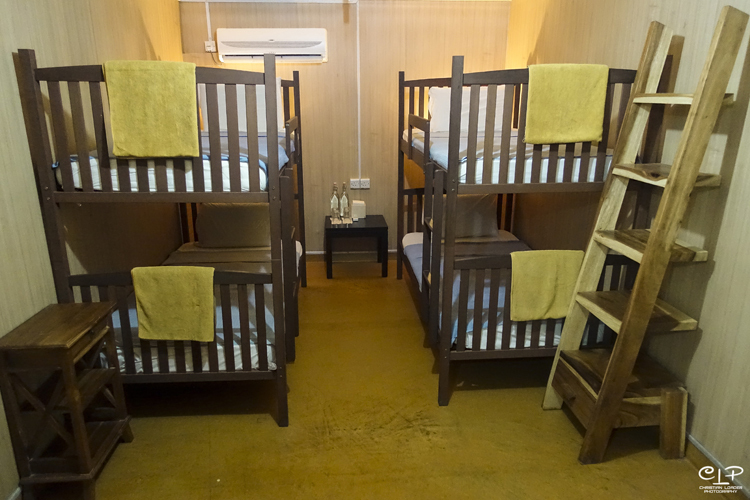 Ideal for the budget conscious, the dorm cabins house up to four people and are well-equipped with the basic comfort of bunk beds with clean, fresh bedding, air-conditioning, personal lockers and housekeeping. Enjoy warm showers after chilly dives in our dorm-guest only communal bathroom which accommodates six individual private stalls.